We make a difference to people’s lives through the brilliant work of caring and passionate staff. Join us and we will support you to succeed. You will enjoy great benefits and be recognised for what you do. We succeed through teamwork. 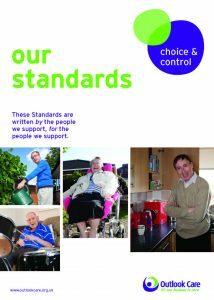 Whether our staff provide direct care or manage, deliver activities, cater, administer or organise – the whole team embrace our vision and values, putting our customers at the heart of everything they do and ensuring we enable and empower people to live the most fulfilling lives they can, no matter what their individual needs are. Every team member is given the guidance, time and freedom to provide the best care or service possible in a caring and professional manner. Make sure the people we support are at the heart of all we do. Help people to make choices. Help people to build and develop relationships. Support people to keep safe and guide people to take their own decisions whilst being aware of risks. Support and encourage independence and meaningful activity. Provide information and opportunity to enable control by the person being supported. Most staff work individually or as part of a team supporting individuals in all aspects of their daily living. We also have occasional opportunities for more specialist roles in Housekeeping, Catering, Management, Finance, HR. Experience is not always necessary – we offer a full induction and training programme to people who share our values and are committed to providing excellent person centred care. 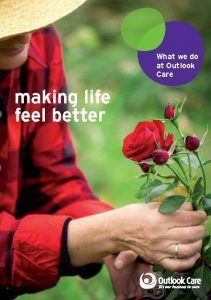 OCB offers great opportunities to experience working within Outlook Care without initially entering into a long term commitment. Ideal if you are looking for a flexible working environment to fit around family, study or other commitments.